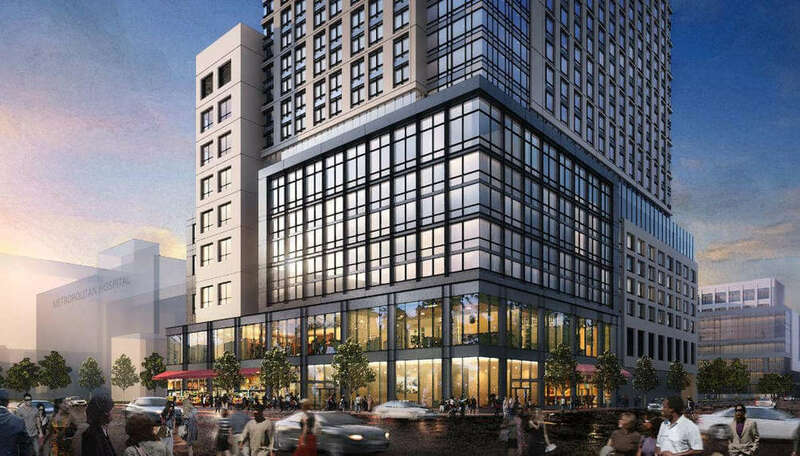 A 68-story, mixed-use tower set to rise in East Harlem between 96th and 97th Streets on Second Avenue is facing renewed pushback from community groups, even as the New York City government seem to be in unanimous agreement over its development. While the massive, 1.3 million-square foot complex would replace the existing Marx Brothers Playground, developer AvalonBay has promised to rebuild it “piece by piece” nearby; a compromise that preservationists have found unacceptable. As the New York Times reports, the battle over 321 East 96th Street hinges on whether the Marx Brothers Playground is, as the name suggests, a playground or a park. While the distinction might seem small, developing on parkland requires approval from governor and State Legislature. Despite the name, the playground has been maintained by the city parks department since 1947 and bears a plaque on the gates stating the same. Once completed, the new development at the site would yield 1,100 residential units, with 330 of them affordable, 20,000 square feet of retail space, and 270,000 square feet for three schools. One space will be for the School of Cooperative Technical Education, a vocational school, and the other two will be extension spaces for the nearby Heritage School and Park East High School. The educational component is integral to the project, as the New York City Educational Construction Fund (ECF) is a development partner. Pushing back on what they see as the city ceding public land for a private tower, the Municipal Arts Society, along with several preservation groups and the backing of the Trust for Public Land, have filed a lawsuit on December 22nd meant to block the development. Replacing the 1.5-acre playground has the backing of the local community board, City Council, Parks Department, borough president, and former City Council speaker Melissa Mark-Viverito, all of whom have argued that the additional housing and education facilities are sorely needed. Still, Governor Andrew Cuomo has agreed to look into whether the Marx Brothers project would be replacing parkland, and will appoint the commissioner of the state parks department, Rose Harvey, to determine the legal status of the playground. However, as the Times notes, Governor Cuomo has preemptively given his go-ahead to the development, having signed a bill granting AvalonBay the right to begin construction if the site’s legal challenges are found to be without merit. The lawsuit comes at a contentious time for East Harlem, as the recently passed rezoning has already begun changing the neighborhood and creating more parkland.